How does septic tank cleaning in Rye, NY work? With a full septic tank clean-out, everything is pumped from the tank, not just the water and some of the bottom sludge layer that gets removed in a regular septic pumping process. Once all three layers (the solid sludge, the water and the oil/fat layer) are safely removed, the tank can be thoroughly cleaned. This is done in a variety of ways depending on your tank type and the method that your local Rye, NY septic tank service prefers to use. Most use high-pressure jetting to blast water into the tank and loosen all remaining sludge that’s built up over the years. Roots should also be removed, if possible, as solids can latch on to them and become harder to remove, if at all, over time. Once the tank is emptied, the septic service can safely inspect it for any necessary repairs or upgrades it may need. If the tank is only partially pumped, you would not be able to do a thorough inspection and may miss crucial issues that will be much more expensive to do as emergency repairs. All components of the septic system should be inspected and cleaned, including any filters. 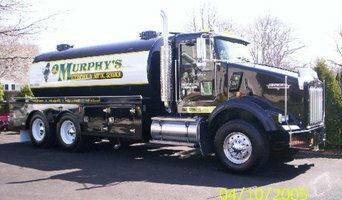 Find a qualified septic tank cleaning company in Rye, NY to bring yours up to tiptop condition today.